 All year long, we propose several themes of guided tours of Annonay (historic center, bridges, towers, visit around cinema…), to find in our schedules or on reservation for groups! Silly and comic, energetic Miss Marguerite, a character will be your guide throughtout the duration of this playful visit of Vidalon, in the steps of papermakers. With the company of theater: La Belle Trame. Full price: 8 €, Reduced price: 6 €. Free entry for children < 12 years. Booking is recommended with Tourist Office of Ardèche Grand Air. Sunday 7 July 2019 at 5.30 pm. Sunday 21 July 2019 at 5.30 pm. Sunday 4 August 2019 at 5.30 pm. Sunday 11 August 2019 at 5.30 pm. Sunday 1st of September 2019 at 5.30 pm. Adult: 2 €. Free entry for children < 12 years. Saturday 6 July 2019 at 2.30 pm. Saturday 20 July 2019 at 2.30 pm. Saturday 3 August 2019 at 2.30 pm. Saturday 10 August 2019 at 2.30 pm. Thursday 15 August 2019 at 2.30 pm. Saturday 24 August 2019 at 2.30 pm. Saturday 7 September 2019 at 2.30 pm. Saturday 14 September 2019 at 5.30 pm. From Saturday 21 to Sunday 22 September 2019 between 9 am and 6 pm. Silly and comic, energetic Miss Marguerite, a character will be your guide throughtout the duration of this playful visit of the historic center of Annonay. You will discover highlights of the heritage but also the exciting anecdotes! Saturday 6 July 2019 at 5.30 pm. Saturday 13 July 2019 at 5.30 pm. Saturday 20 July 2019 at 5.30 pm. Saturday 27 July 2019 at 5.30 pm. Saturday 3 August 2019 at 5.30 pm. Saturday 17 August 2019 at 5.30 pm. Saturday 24 August 2019 at 5.30 pm. Saturday 31 August 2019 at 5.30 pm. From Saturday 21 to Sunday 22 September 2019. Silly and comic, energetic Miss Marguerite, a character will be your guide throughtout the duration of this playful visit of Cance district. With the company of theater: La Belle Trame. Wednesday 17 July 2019 at 5.30 pm. Wednesday 24 July 2019 at 5.30 pm. Wednesday 7 August 2019 at 5.30 pm. Wednesday 14 August 2019 at 5.30 pm. Wednesday 21 August 2019 at 5.30 pm. Wednesday 28 August 2019 at 5.30 pm. Silly and comic, energetic Miss Marguerite, a character will be your guide throughtout the duration of this playful visit of Varagnes property. Full price: 10 €, Reduced price: 7 €. Free entry for children < 12 years. Wednesday 10 July 2019 at 5.30 pm. Sunday 25 August 2019 at 5.30 pm. Sunday 8 September 2019 at 5.30 pm. Thursday 18 July 2019 at 5.30 pm. Thursday 25 July 2019 at 5.30 pm. Thursday 8 August 2019 at 5.30 pm. Thursday 15 August 2019 at 5.30 pm. Thursday 22 August 2019 at 5.30 pm. Sunday 14 July 2019 at 5.30 pm. Sunday 28 July 2019 at 5.30 pm. Saturday 10 August 2019 at 5.30 pm. Sunday 18 August 2019 at 5.30 pm.